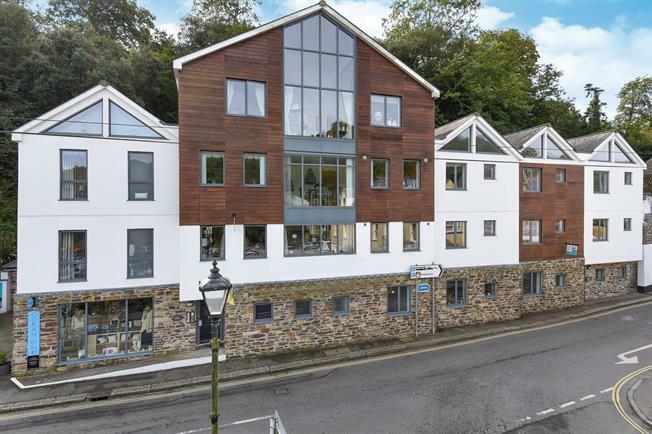 1 Bedroom Ground Floor Flat For Sale in Fowey for Guide Price £150,000. Fowey is regarded as one of the most attractive waterside communities in the county. Particularly well known as a popular sailing centre, the town has two thriving sailing clubs, a famous annual Regatta and excellent facilities for the keen yachtsman. For a small town, Fowey provides a good range of shops and businesses catering for most day-to-day needs. The immediate area is surrounded by many miles of delightful coast and countryside much of which is in the ownership of the National Trust. Award-winning restaurants, small boutique hotels and excellent public houses have helped to establish Fowey as a popular, high quality, destination.